Northeast Indiana and Northwest Ohio have hard water because of the high mineral content in the ground around us. High concentrations of calcium and magnesium are present in our water and create problems with our plumbing and appliances. As hard water flows through the pipes and appliances in our homes and businesses, calcium and magnesium precipitate out and leave a hard residue called scale on everything it touches. This scale cause problems with your plumbing through the obstruction of water flow, build up inside your appliances and can cause malfunctions. Soap and detergent do not dissolve well in hard water and clothes often have an off white or yellow tinge to them. Pots and pans can also accumulate scale. Once this scale is formed pipes and appliances would need to be descaled or replaced. Water Softeners solve this hard water problem. Proper installation at the beginning of the water line, in your home or business, prevents scale from forming in your water lines. Decreased scale means increased water pressure! 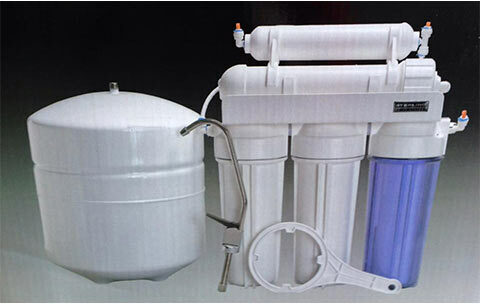 The most prevalent type of water softener is one that uses ion replacement. Softener salt, in the form of pellets, is added to your water softener, and is exchanged for the calcium and magnesium. Sodium will not come out of solution and form a hardened scale on your pipes. Soap and detergents will work better. Pots and pans will last longer. Andrews Plumbing has installed and repaired several types of water softeners. We can help you pick our the Sterling Water Softener that suits your needs. Among your choices are single or dual tank water softeners, and on demand water softeners. Some water softeners are programmable, most have timers at the very least.